One thing you’d probably never expect to see in the fictional Mediterranean country of Medici is a snowman soaking up the sun on his own private beach. But Just Cause 3 is here to smash all expectations, so guess what you’re getting? If you guessed a snowman on the beach, then you’re one smart cookie. Head on over to the huge valley in Costa Sud (located to the south of the northern-most main island) and find a way to the small beach indicated on the above map. 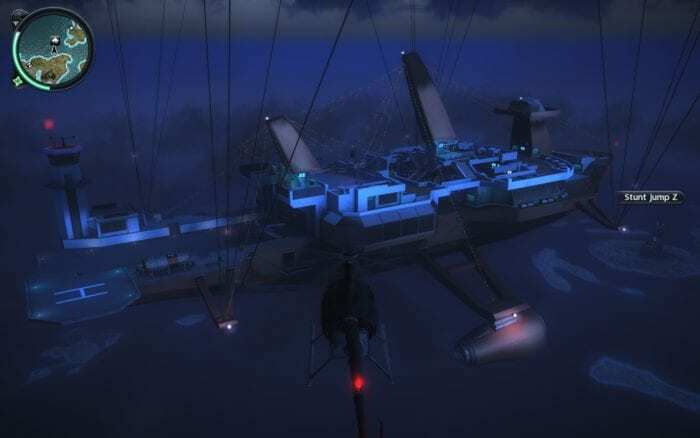 It’s relatively easy to get there, although it may take a while if you haven’t reached this island yet or located any locations (which will prevent fast travel). Still, a fast boat or an air vehicle will get you here relatively fast. Once you land, you’ll run into Mr. Snowman. He doesn’t do anything special at all (except for the whole not melting thing), and fans of the series may find him oddly familiar. 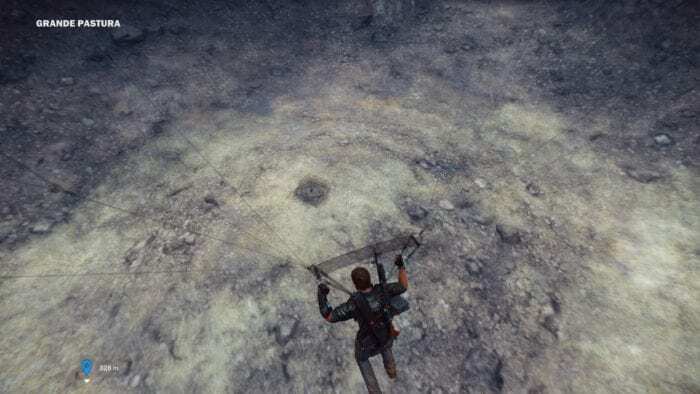 He was an easter egg in Just Cause 2 and you found him near the Ski Resort. 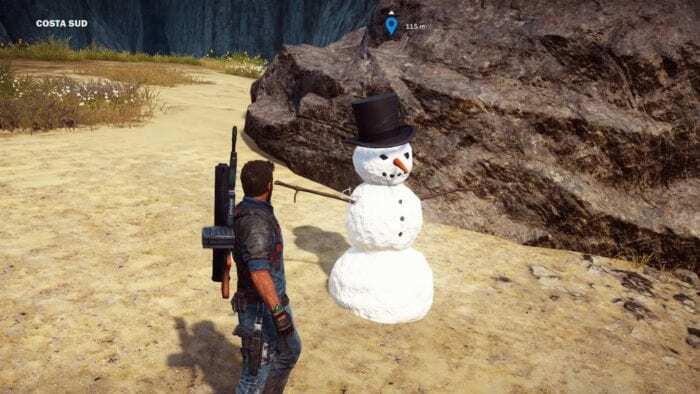 Rico even says, “So we meet again, Mr. Snowman” as soon as you get close enough. Nothing cooler than a recurring easter egg. Have you found this snowy fella yet again? Happy to see him in Just Cause 3 after all of these years? Feel free to let us know in the comments below. 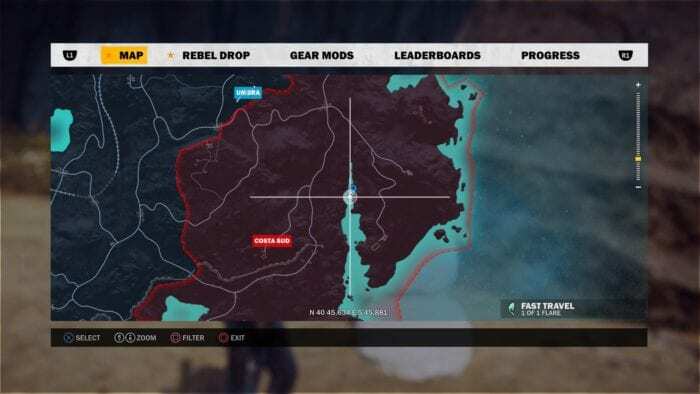 Just Cause 3 Has Some Familiar Ancient Ruins, Possible Easter Egg?